Tung Nguyen-Khac holds a Master in Political Science with a Major in International Relations from the University of Munich. He has been a frequent speaker and author of academic papers on the media, gaming and finance. From 2004 to 2010 he was a managing partner and CEO advisor at web games company Bigpoint. He also has been a business angel and advisor to private equity companies. The notion of 'games-as-a-service' is hardly a new idea. Not long after the dawn of contemporary free-to-play mobile gaming, it became clear a little more was needed than simply releasing a title with a store full of paid-for extras and waiting idly for the cash to come in. It turned out that free-to-play monetisation thrives when games are constantly tended to. Seasonal updates, limited-time offers, special player events and so on are the lifeblood of retention and engagement. And if games-as-a-service – better known by the slightly ungainly acronym 'GaaS' – is the overall concept of nurturing mobile games post-release, live ops is the practice. In other words, live ops puts the 'service' in 'games-as-a-service'. There's no hard-and-fast definition of live ops, but generally speaking they don't include bug-fixes, optimising adverts, community moderation and so on. There is plenty of overlap with those disciplines, however, as each can be part of keeping a live game thriving. Here, though, we are really talking about conceiving, planning and hosting events to keep a game contemporary. It would be a little cold, though, to say it's purely about profit. Live ops gives us the ability to optimise a game in real time, and that’s about making it a great experience for the player. The speciality also keeps a game refreshing and rewarding for players, and is the antidote to over-familiarity. Live ops serves to keep a player served with fresh content, never reaching the 'final page' of a game. And in a world where happy, playing users are the most important factor in a game's financial successes, keeping them invigorated is about as important as it gets. Which is why exploring a definition of what live ops can be can provide fascinating insights into making a success on mobile. "Live ops gives us the ability to optimise a game in real time, and that’s about making it a great experience for the player," asserts Spil Games CEO Tung Nguyen-Khac. "But it can also be the difference between success and failure. We’re seeing people playing so-called 'casual' games for longer than triple-A productions. "Sometimes they’re playing games for years. Look at Candy Crush - it’s been at the top since 2012. At the moment we’re constantly adding new features to games, keeping players engaged. Live ops helps us do that even better. 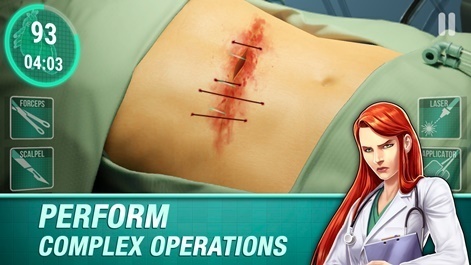 For example, the new Research feature just added to Operate Now: Hospital resulted from a live ops initiative." Already, we're seeing how any firm definition of live ops quickly crumbles. Adding a new feature to a popular game as a result of a live ops event? There we can see how live ops can start conventionally and evolve to inspire the development of extra content. Visit the considerably proactive Operate Now: Hospital Facebook page and game events jostle for position with updates news, community outreach and much else besides. There it's clear to see that from the player's perspective, at least, live ops, community management and game updates all exist place as a single function. The best live ops simply don't stand out as a distinct sub-discipline of the process of keeping a game's heartbeat pumping. And, as Nguyen-Khac highlighted, today games can live for a very long time. 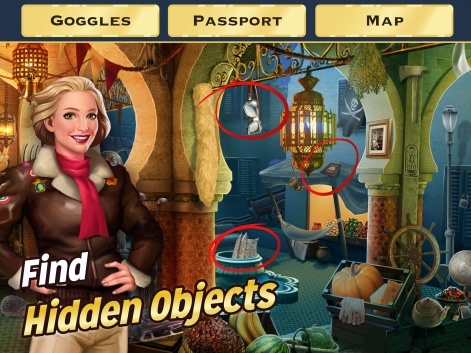 Another game finding a long life is Wooga's hidden object game Pearl's Peril, recently nominated for Best Game Management and Live Ops at the Mobile Games Awards. Live ops is about looking at the existing systems and working out whether there are opportunities there that haven’t been explored yet. 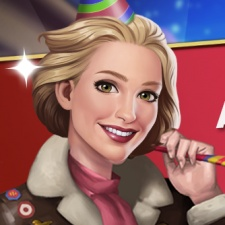 "With Pearl’s Peril we came to the realisation that a mobile games’ lifetime is over five years instead of the one-to-two years," says Wooga product lead Annelie Biernat of a title released almost five years ago on Facebook and which is still prosperous today. "We also realised that it’s impossible to add new features for this amount of time without breaking the user experience. Live ops is about looking at the existing systems and working out whether there are opportunities there that haven’t been explored yet. “So, it’s not just a case of offering more content, but better content. Instead of looking to create more special offers for the players, it’s about creating focused ones that are more interesting." Biernat's colleague and Pearl's Peril lead designer Andrew Harmon adds: "I think it’s important to also point out that live ops is just as much about talking and engaging with the players as it is about creating new features. "By interacting and engaging with the community we get a very loyal and engaged user-base that comes back to play the game for years, even though the main story arc ends after 90 chapters." And there's our old friend community management again. The lesson to learn here is a simple one, though. The studios making games profitable and popular for years aren't too concerned by isolating and framing live ops as a singular entity. Rather, it's a spirit or idea than can link everything that goes into a game before, during and after release. That might be a little too abstract and woolly for data analysts and investors to place bets on, but live ops appears particularly unwilling to adopt a rigid shape. Indeed, it may be that data is its servant, rather than vice versa. Over at Scottish developer, publisher, service provider and esteemed brand collaborator Tag Games, that has seen the team learn to strategise for live ops long before a game enjoys an alpha release. "Tag Games offer a full service approach, developing games from concept, through soft-launch and continue support into the live phase. We always aim to design games with a long-term view, with live ops in mind from the get-go," explains CEO Paul Farley. "We also offer live ops as a service to other publishers and developers. live ops is fascinating; every game is unique, and what interests us is how you can influence the performance of a title through a deep understanding of data and analytics. We get a great sense of achievement when the team delivers an update that is highly regarded by the player base or effects a KPI in exactly the way we predicted." Data is king. Our product managers use current data and game models to make predictions regarding which particular features are going to be the most effective. There Farley touches on something common to many live ops strategies. Despite its dynamic, varied nature, live ops shares a close relationship with data. "Decisions on what we do within a game are 90 per cent based on the data," Nguyen-Khac says of Spil's broad approach. "This is true for planning the evolution of a game and for keeping track of its performance hour-by-hour. "Our analysts and game designers look at the data and come up with a hypothesis about how the game might be improved. “They have a great deal of experience in game play, but each idea must be designed to impact KPIs, such as retention or monetisation. We’ll A/B test the change and then reassess the data after a week to see if the new configuration worked. “The process continues the next week, either with a revised theory about how to tackle the same issue or a whole new idea about how to optimise the game to be more fun to play or to improve monetisation." The point is this: while it may be impossible to conclude what is and isn't gathered under the umbrella of live ops, whatever does make up that side of a game's servicing must gel and coordinate with wider strategies for a title's progression and success. And if data is the foundation of so much contemporary free-to-play game design, live ops must couple with that underpinning. "Thankfully we have a wonderful data team and years of data at our disposal to help decide what our players might like, as a first step," enthuses Wooga's Harmon. "The second step is to verify that data by talking to our players, to try and make sure our assumptions are correct. Content is a different animal; it rarely tells us that red is better than blue, because it is subjective by nature. Again, we rely on what our players tell us, both by their words and their actions. We have hundreds of ideas presented by our players at our fingertips to draw from." We rely on what our players tell us, both by their words and their actions. We have hundreds of ideas presented by our players at our fingertips to draw from. Farley agrees: "Data is king. Our product managers use current data and game models to make predictions regarding which particular features are going to be the most effective at improving the targeted KPIs. "Using a confidence rating we order the backlog accordingly. Once those features or A/B tests are conducted we analyse that data to measure how accurate our predictions were. That then feeds back into future model and test development." A key challenge in making the most of the live ops opportunity, perhaps, is a technological one. Over at Spil, the studio built a proprietary platform for live ops; a substantial task. That means the demands of establishing a dedicated team, but with all the benefits of complete control and tailored technology. Tag, meanwhile, offer live ops as a service, and make their own ChilliConnect live services platform available to other studios. That does mean that what is key to their business is equally available to others. Either way, live ops demands technological muscle; but with a range of services and middleware available, there are today numerous options available for teams of every size. The other challenge is more of a cultural entity. The live ops work never stops if it goes well, and sometimes it's as much about knowing when not to tinker as it is about realising when a change is of paramount importance. "Sometimes the biggest challenge is to stop people changing everything all the time," Nguyen-Khac reveals. "But we have a rigorous process for modifications that involves game designers, product managers and data analysts sitting together and deciding the best strategy." On a similar note, Biernat adds: "A big challenge for us is that we are dedicated to keeping the planning, analysing, communication and listening to our players as part of our team culture and close in everyone’s mind. "This falls on top of the full-time job of actually making and maintaining the game. We get a lot of help from our team members but keeping that in the forefront can be tough, especially as no one in our current team was part of the creation of the game we are maintaining." There, at least, a proven and established skill can serve a team greatly. Good old-fashioned team management and production planning. Because live ops, for all its newfangled complexity, is built of the same stuff games have always been made from; not just strings of code and clusters of pixels, but also people and teamwork. Extremely well said Will... the notion that LiveOps is much more than just sales and other marketing events is lost on so many in the mobile gaming ecosystem. You really nailed the other important elements that most ignore, generally imho, because they are hard/expensive.